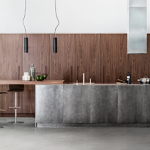 A large kitchen who dialogues with the space outside, combining the gres and ecomalta materiality with the rovere dark’s elegance. The wall columns composition, developed on T30 concept, and columns, designed on D90 concept, evolves in an angular diagram. 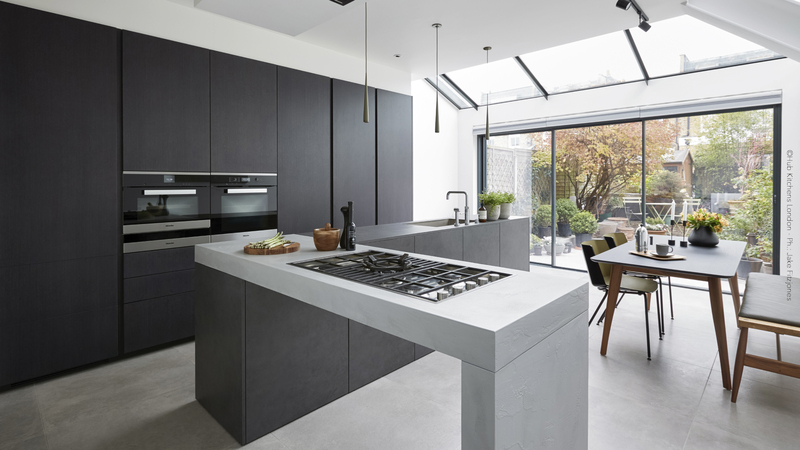 The worktop forms an “L” shape and includes two elements: a monolithic block with doors in black gres, fronts finish in stainless steel with a bathtub setted up and a second worktop perpendicular to the main structure in ecomalta cement where the cooktop is incorporated. 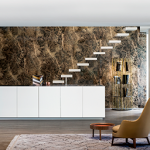 An island fully realised on design where made to measure doors allow a linear aesthetic and perception of a unique monolithic block. 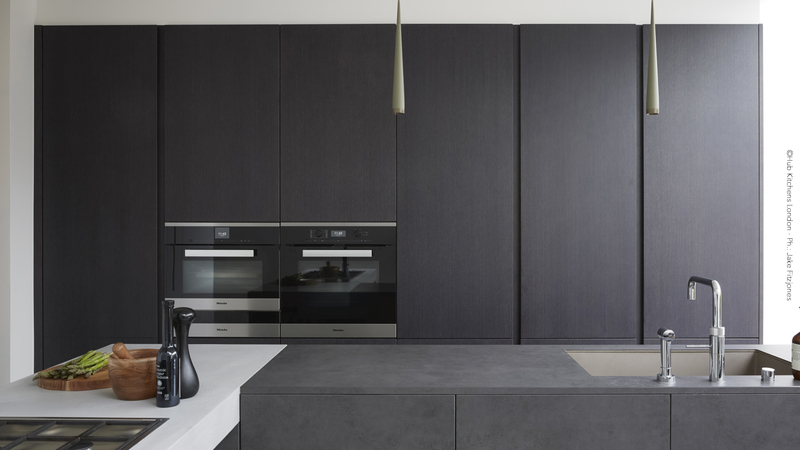 The double composition of wall columns provides for a first volume with rovere dark finish where find their place a double combi steam oven and a food warmer; a second volume where the columns, designed on D90 concept, have inside handle and pure white matt finishes.